Portable power on the go! 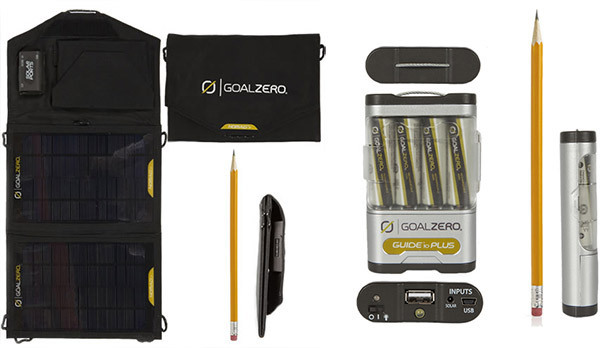 Whether your just going on a hike or on a camping trip, The Goal Zero Guide 10 Plus Adventure Kit has you covered for all your power needs anywhere away from the grid. 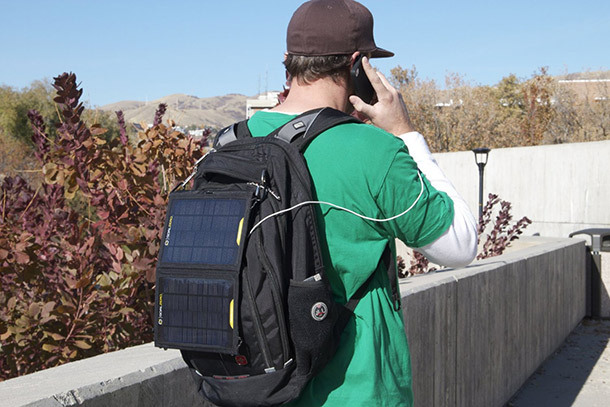 The Adventure Kit is a lightweight USB and solar charging system. It charges tablets, cell phones, GPS and rechargeable batteries anywhere you go. It includes the Nomad 7 solar charging panel and the Guide 10 Plus battery charging system. It can be used as a single unit power pack to power your device, or as a power source to recharge batteries for use in AA or AAA battery powered devices. The Guide 10 Plus charging system includes four rechargeable AA batteries and will also charge AAA rechargeable batteries. Use them in the battery pack to power your USB devices or take batteries out and power your headlamp or emergency radio. The USB charger is powerful enough to handle smartphones as well as tablets. The batteries take about 3-4 hours to charge using the 7 watt solar panel and if your batteries are not charged and you need power, you can also power your devices directly from the solar panel. 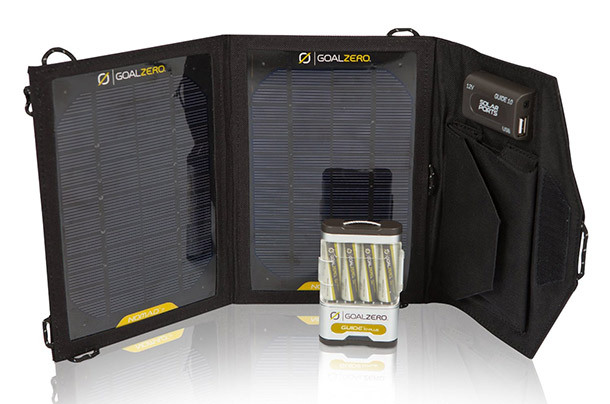 The best part about the Goal Zero Guide 10 Plus Adventure Kit is its compact size. The panel when folded is just 6 x 9 x 1 inches making it extremely versatile. It can open up and charge from your dashboard or even hang on your backpack to charge your devices while hiking during the day.